The Silent Room | Who I Am, Who We Are. An individual space where each individual has an opportunity for introspection. One visitor at a time will visit the room and take part. The Silent Room is confidential, anonymous and intimate, thus hoping to create the adequate condition for self – reflection and authentic expression. 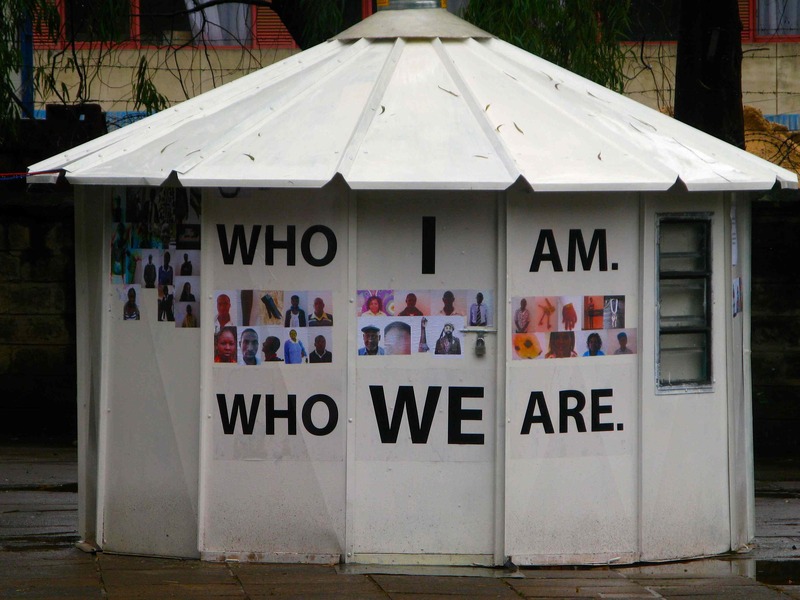 The design of the Silent Room aims at being representative of the Kenyan culture, create a sense of identification and thus attract the public. Each participant will have the opportunity to take one photo representing himself and that image will fill all the external sides of the room. We aim for a sample size of 150 participants. The Silent Room has popped up in Eastleigh, Nairobi CBD, Mukuru Lunga Lunga, Diamond Plaza, Kisumu, Isiolo, Nyeri and Lamu. So far we have carried out 1500 interviews in the Silent Room. (Jan.2016). The fabrication of the Silent Room was made possible through the assistance of Amin Elchie of Virani Media.